You can now cast your votes to determine which five lucky people win this year much-coveted MVP awards. 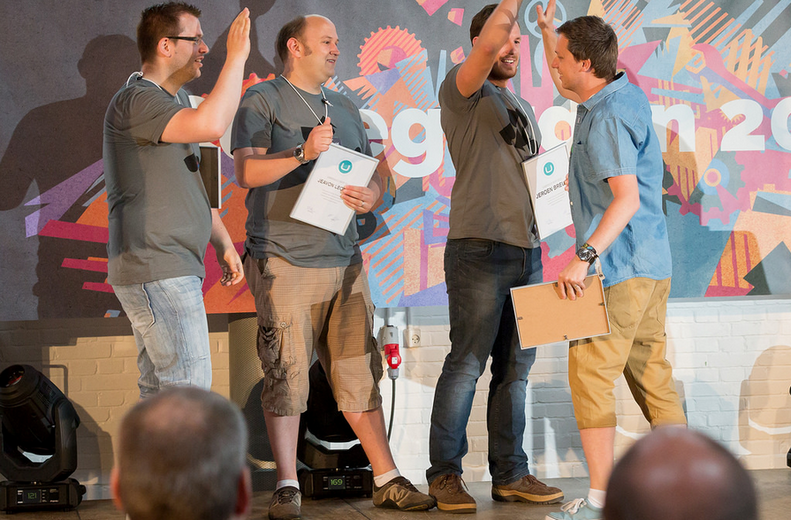 The community is the best feature of Umbraco and the people who are actively helping other people discovering every nook and cranny of Umbraco are a massive part of our friendly DNA. The MVP awards are the community’s way of thanking the people that we find the most valuable. MVP in the Umbraco world means: Most Valuable People - the “P” doesn’t stand for “Professional,” as we love amateurs just as much! The candidates for the 2015 MVPs are nominated based on the people who got most karma on ‘Our’ from March 23rd, 2014 to March 23rd, 2015. The twenty people with most karma who aren’t a part of the HQ were selected, and the community can start voting. Like every year when we do this, we are humbled and honored to see so many great people being active on the forums, making beautiful packages and sharing their passion for Umbraco. Not only do you give up some of your precious time to help others, but it’s also a unique and beneficial opportunity to learn. You get to see what others are doing with Umbraco, an excellent source of inspiration for your projects. Or you’re sharing your package and code with the community, open for feedback, which can be scary but luckily we have the world’s friendliest community ready to provide constructive feedback. And yes, there are some significant benefits to becoming an MVP. In the days leading up to Codegarden, you get to hang out at the retreat with your fellow MVPs and the Umbraco HQ team and help us shape where Umbraco is going in the next year. If you trip to Copenhagen and your ticket for Codegarden are paid for and you, of course, will be honored on stage during the opening keynote at Codegarden. Congratulation to this year’s nominees: Alex Skripnik, Bjarne Furstenberg, Christian Steinmeier, Claus Hingebjerg, Craig Stevens, Dan Lister, Dave Woestenborghs, Dennis Aaen, Ismail Mayat, Jan Skovgaard, Jason Espin, Jeavon Leopold, Jeroen Breuer, Kevin Giszewski, Kevin Jump, Lee Kelleher, Matt Brailsford, Nicholas Westby, Rusty Swayne and Sören Deger. Thank you for your effort, courage and patience and a big #h5yr!